Writers from two of America's top newspapers got into a Twitter spat on Wednesday after one made fun of the other's appearance. 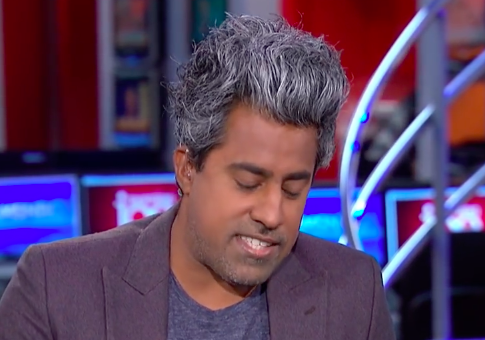 When New York Times columnist and MSNBC contributor Anand Giridharadas made an appearance on "All In with Chris Hayes," the Washington Post‘s Dave Weigel cracked wise about Giridharadas' unique hairstyle. The Fifth Element is a 1997 science fiction film depicting a future in which loud and outrageous hairdos are common. Several main characters including Gary Oldman's Jean-Baptiste Emanuel Zorg and Chris Tucker's Ruby Rhod sport unusual haircuts. 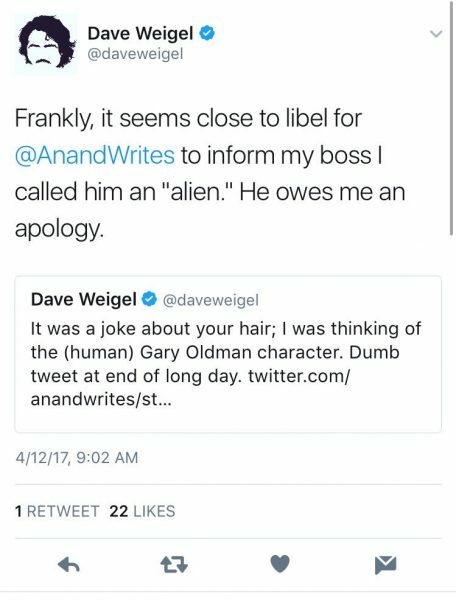 But Giridharadas accused Weigel of making fun of him because of his Indian ethnicity, even complaining to Weigel's boss. Weigel insisted that he was only mocking Giridharadas' hair. In a tweet he later deleted, he accused Giridharadas of bordering on libel. Giridharadas responded by accusing Weigel of not checking his white privilege. This entry was posted in Culture and tagged Anand Giridharadas. Bookmark the permalink.